Kochnev remembers the damage caused by Soviet missile defence personnel previously stationed on the east Arctic's Wrangel Island. 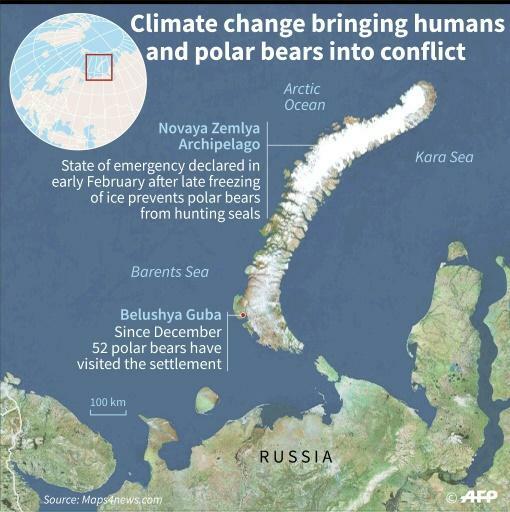 Kochnev in 2015 wrote an emotional blog post after a bear near a military construction site on Wrangel island swallowed an explosive flare. He criticised the new base, and was fired from his job in a national park as a result. Belushya Guba is planning to install cameras and address its waste problem, he said. 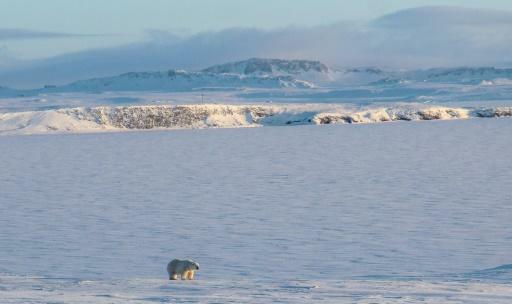 Already all arrivals to the local airport listen to a mandatory lecture on polar bear behaviour. Kochnev said bears have been able to adapt so far to unfavourable trends, learning to feed in groups rather than hunt in solitude. 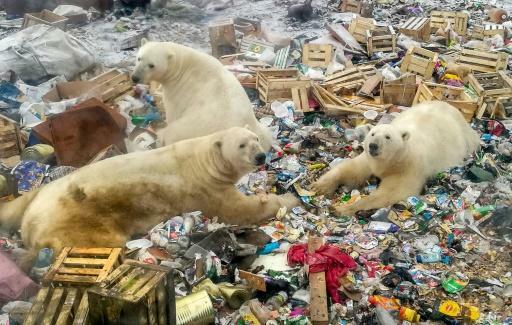 But if warming continues, "polar bears will simply leave Russia".